Contract lawyers are able to assist with any issues that may come about as a result of contracts or contract law. Contracts are part of the bedrock of Australian law; as a result they occur every day in the course of almost all business proceedings. Contracts are composed of terms and conditions that are enforceable through the courts. It is not uncommon for disputes over these terms to arise, especially with commercial or business contracts where large sums of money are involved. Contract lawyers are able to assist with the drafting and revision of contracts and their terms. Obtaining legal advice from Contract lawyers ensures that the agreement protects your interests, and can be performed in a way that benefits all parties involved. All parties are clear as to their obligations and expectations. Some contracts are required by law to be written, such as those to do with the sale of land. Many contracts are verbal, with their terms being implied rather than expressly stated. Contracts that have been entered into because of a misunderstanding or mistake are not enforceable, as this would contravene the requirements set out above and therefore render the contract illegal and void. 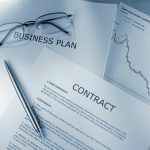 A contract is breached when one or more parties do not meet their contractual obligations or perform the contract as required by its terms and conditions. The effected party may wish to bring the case before the courts, seeking to have the contract enforced. The breach may be resolved outside of court, especially if the contract was drafted in way that anticipated any possible disputes. Should the breach lead to legal action, a court may choose to award damages to the party affected by the breach of contract in order to make up for the contract not being honoured. A court may order the offending party or parties to carry out a ‘specific performance’, which would force them to carry out their contractual obligations. A perfect contract contains clearly and obviously agreed upon terms which are thoroughly understood by all parties concerned. It should also anticipate any potential disputes or issues that may impede the contract’s execution. If this is done, parties to the contract should be able to put the document away and not need to refer to it again, as they are able to properly perform their obligations without issue. It is likely that you or your business will need to enter or even create a complex contract at some point. It is important that the terms of the contract accurately reflect your interests, but do so in a way which ensures the other party or parties are able to fulfil the contract’s requirements. Due to the common nature of contracts, the fact that they are similar in structure and often contain similar terms, contract lawyers are usually able to provide a good up-front estimation of any costs involved. Contact LGM Advisors today on (03) 9832 0608 or by email at marketing@lgmadvisors.com.au, and witness for yourself why we are the most sought out contract lawyers Melbourne has to offer.